SmartLock UltraLite is an extremely simple, cost-effective, stand-alone access control system which supports 2,000 users AND provides audit trail capability. 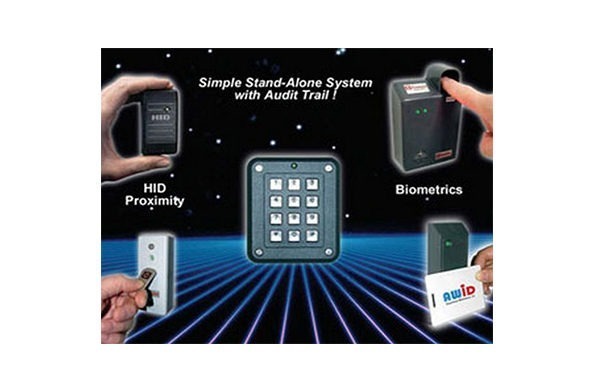 The system consists of 1 to 64 single door controllers with readers and the SmartLock UltraLite Management Kit. Categories: Cansec, Cansec Systems Ltd. The SmartLock UltraLite controller features a Form “C” relay output for lock control as well as inputs for a Requestto- Exit Button and a Door Contact. When the Door Contact input is connected, the controller will automatically relock the door once it re-closes. In addition, an audible alert can be generated at the reader if the door is held open longer than a specified time. Voiding and validating users is easily accomplished using the UltraLite Management Kit which includes a USB Adapter, Data Management Software, and a portable Programming Key. The administrator sets up the cardholder database on the host PC by setting users as either “ACTIVE” or “INACTIVE” and selecting the readers to which access will be granted. Up to 64 readers can be managed with a single Data Management Kit. Once the cardholder database has been updated, it is written to the portable Program Key from the PC via the USB Adapter. 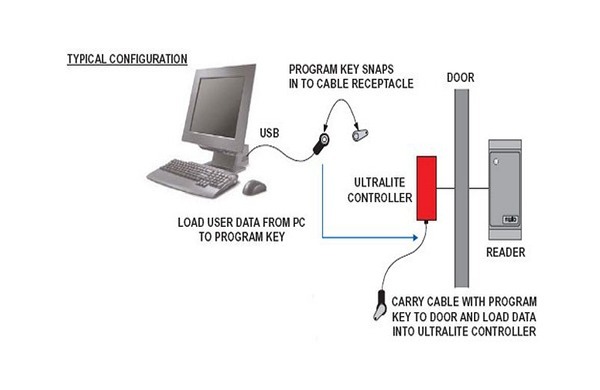 The data is then transferred to the UltraLite Controller unit by simply unplugging the Programmer from the USB adapter and plugging it into the programming port of the UltraLite controller. 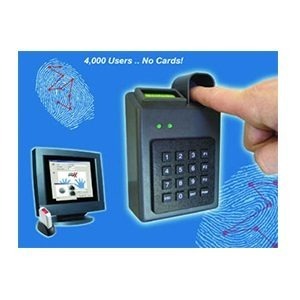 In addition to controlling access, the reader retains the last 1,000 time & date stamped audit transactions in memory which can be retrieved from the reader with the Program Key and uploaded to the host PC for viewing or printing. The SmartLock UltraLite controller is also available in costeffective reader bundles including Proximity, iButton, Keypad, and Biometric reader configurations. SmartLock UltraLite sets a new industry standard for simple, stand-alone access control systems. Its ease of programming, audit trail capability and low price make it the perfect choice for a broad range of applications. iButtonTM is a registered trademark of Dallas Semiconductor Corp. Lock Output: Form C Relay, 2A @ 30 VDC max.